Looking for movie tickets? Enter your location to see which movie theaters are playing Running Wild (2017) near you. 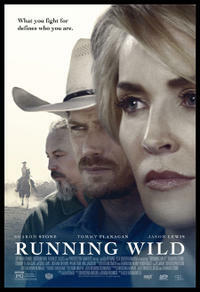 RUNNING WILD tells the story of a young widow trying to save her ranch following her husband's fatal car crash. She creates a convict rehabilitation program, working with a herd of wild horses that have wandered onto her property.